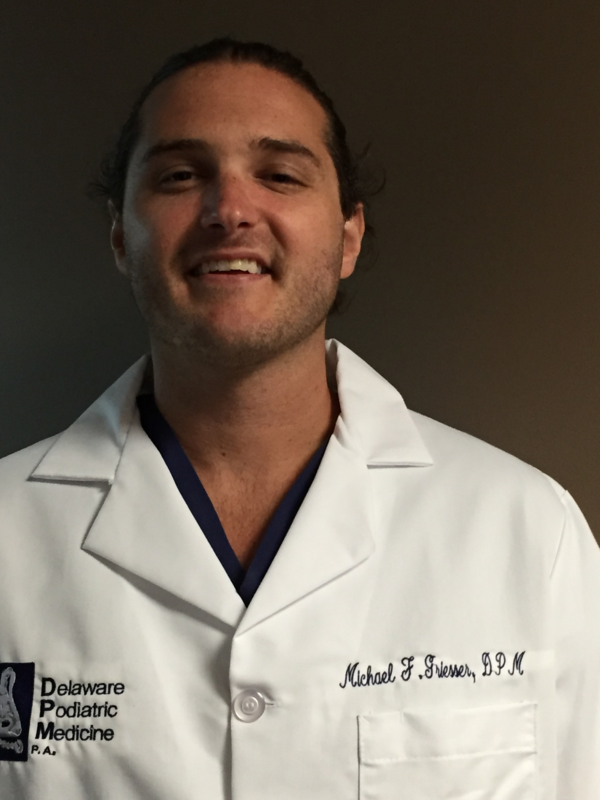 Dr. Griesser | » Delaware Podiatric Medicine P.A. Dr. Michael Griesser was born and raised in the Philadelphia area. He is a graduate of Rollins College in Winter Park, Florida and Temple University School of Podiatric Medicine. He completed his podiatric medicine and surgery residency with a credential in reconstructive rearfoot and ankle surgery at Inspira Health Network in Vineland, New Jersey where he served as chief resident. This included extensive training in reconstructive surgery of the foot and ankle as well as lower extremity wound care and treatment of the diabetic foot. As part of his residency, Dr. Griesser completed training at the Rubin Institute for Advanced Orthopedics in Baltimore, Maryland with special emphasis placed on the treatment of pediatric lower extremity deformities.